Composed and published 23 March 2012 in a limited edition of 30 hand-numbered copies, Lens is a handmade chapbook featuring a four-page dramatic poem (also called "Lens") by Crisis Chronicles Press publisher John Burroughs, a.k.a. Jesus Crisis. It was not for sale, but given away beginning at the 27 March Nia Coffeehouse event Poems of Power, Words of Life at St. Alban Episcopal Church, 3555 Euclid Heights Blvd. in Cleveland Heights, Ohio. Click here to see video of John performing "Lens" at that event, accompanied by Vince Robinson and the Jazz Poets. Lens is inkjet printed in black and red ink on white recycled paper. Its cover uses "metallics" card stock by Wassau Paper: Sparkling Merlot on the outside b/w Black Knight on the inside. John drew the title and eye glyph with a red Sharpie. He didn't print more copies because he couldn't find matching card stock. But you can find a copy at Amazon for an exorbitant price. In December 2012, "Lens" was republished as part of John's first full length poetry collection, The Eater of the Absurd, by NightBallet Press, who nominated it for a Pushcart Prize. 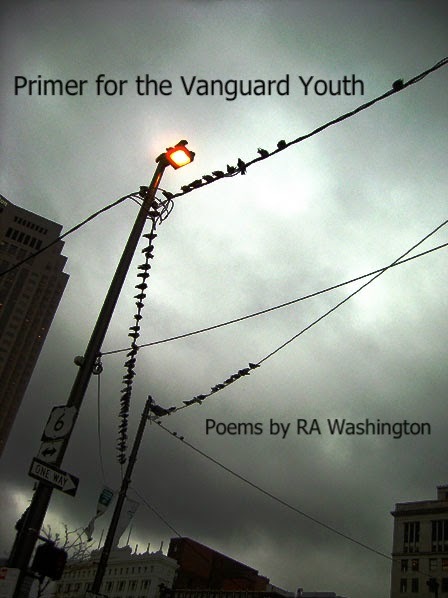 Primer for the Vanguard Youth, published 8 March 2012, features new poetic works by multi-dimensional Ohio artist RA Washington. This 24-page chapbook is hand assembled and saddle staple bound using high quality gray and dark blue card stock with white pages. 8.5 x 5.5". Earliest copies were inkjet printed. Latest are laser. Available for only $6 US from Crisis Chronicles Press, 3431 George Avenue, Parma, Ohio 44134 USA. Click here to read "Moloch, Moloch" from Primer for the Vanguard Youth in the Crisis Chronicles cyber litmag. Click here to see reviews and ratings at Goodreads. Click here to read a review by David Egbert at Amazon. RA Washington is the author of 16 books, most recently the novella, The Further Adventures of Gentleman Richards. 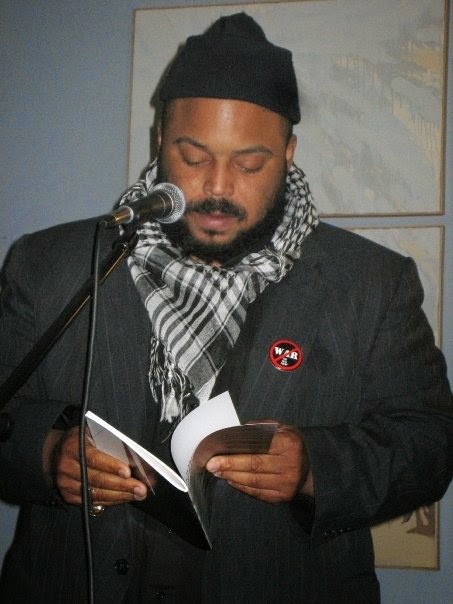 He is a member of the soul punk duo, Crave, and has released ten albums under various monikers. For more, see clevelandtapes.com or stalk him on Facebook.